Soccer is a popular game that attracts thousands of fans who are ready to follow their idols everywhere. There is little doubt that Zinedine Zidane is one of such legends. The hard-boiled handsome man with a Hollywood smile and steel eyes is known as one of the best soccer players in the last 50 years and also a genius coach. 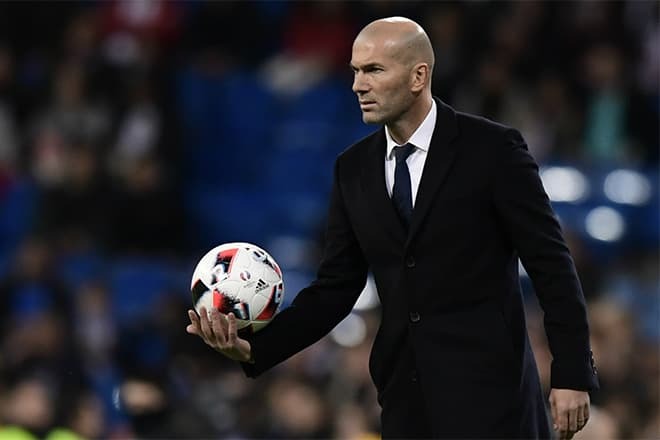 Zinedine Zidane was born in hot summer of 1972 into a family of a warehouseman Smaïl and housewife Malika; the boy was the fifth child in the family and had the sister Lila and brothers Nourredine, Madjid, and Farid. The name “Zinedine” meant “the beauty of faith”; the would-be soccer player’s full name is Zinedine Yazid Zidane. Initially, the family lived in the North region of Algeria, Kabylie. 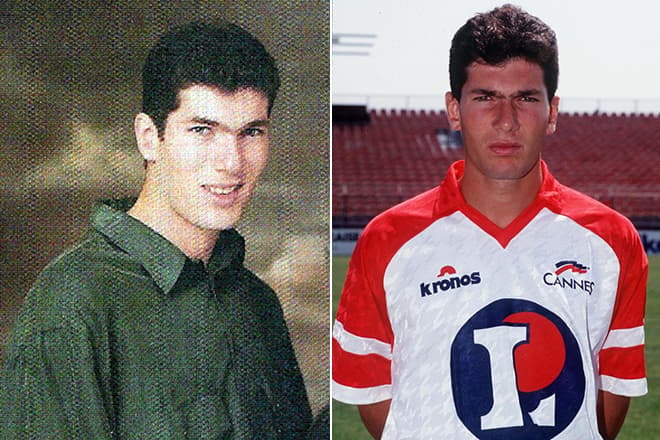 When the war for independence occurred, the Zidanes moved close to Marseille; Zinedine was born in France. It is correct that people think Zidane is French, yet the soccer player has never forgotten his roots and keeps the citizenship of his country of origin. Just like many soccer stars, Zidane discovered his passion for this sport at yard games. The boy was moderately good at school; he liked skateboarding, cycling, and had a judo green belt. The talented boy was soon noticed. 10-year-old Zidane’s work was awarded: he got the player's license which gave him the change to try himself in the professional league. 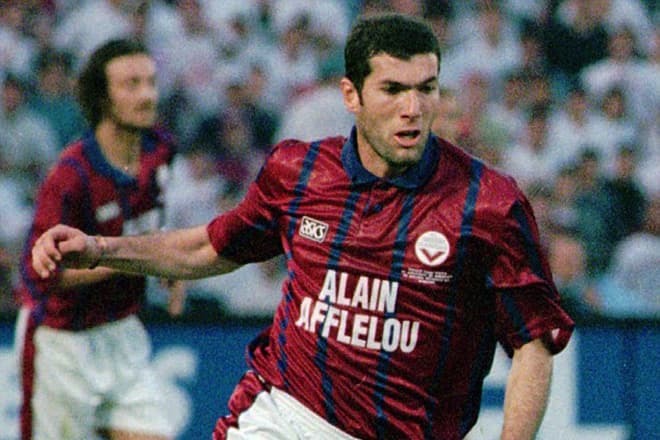 Zidane had his first serious experience in games with Saint Henri and Septèmes-les-Vallons. When the boy was 14, one of soccer institutes under the governance of the French Football Federation noticed him. The talented teenager was fully supported by the youth team of Cannes. Two years later, he appeared in the core team. At that time, soccer experts marked that Zidane was emotionally unstable and used his headbutt against his opponents which later brought many problems. Because of this, Zidane was not the candidate for French U-19 and U-21 teams. The young man’s career improved in Girondins de Bordeaux where he got accepted at 20. In the first season, Zidane scored 10 goals and won the status of the best attacking player in the country’s championship. The team placed 4th and could participate in the UEFA Cup. Zidane’s technique, ability to see the field, and ball pass accuracy were challenging for opponents. According to Zidane himself, his best goal was the 40-meters goal in the quarterfinal of 1995 UEFA Cup. In 1996, the Italian soccer club Juventus was interested in Zidane and paid him €3 million. Since that moment, Zidane began to enjoy glory. Throughout 5 years with the Turin team, Zidane scored 37 goals in La Liga and 12 goals in Copa del Rey and Euro Cups. His list of achievements includes 2 victories in the Italian championship, Supercoppa Italiana and European Super Cup, Intercontinental Cup, and the title of the best soccer player in the world. 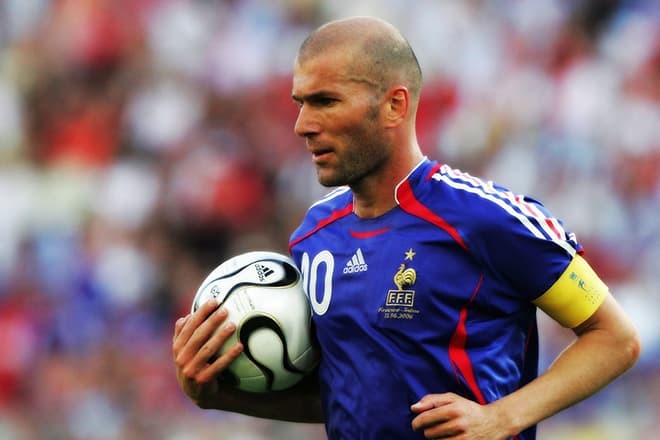 Simultaneously, Zizou was a halfback and captain in the French national team during three FIFA World Cups (1998, 2002, and 2006) and three UEFA European Championships (1996, 2000, and 2004). The 1998 championship brought France the victory and made Zidane the national hero. His price increased significantly. The tall (Zidane’s height is 187 cm. ), almost bald player with serious eyes started receiving numerous ad offers. Overall, Zidane scored 31 goals for the national team; only Trezeguet’s, Henry’s, and Platini’s results were better. The final of the World Cup 2006 was Zidane the player’s last game. The audience remembered the game for the conflict between Zidane and Marco Materazzi that ended with the famous headbutting and red card. Unfortunately, the French team could not win without their star player. This moment of the match was the brightest event of the game. The Internet was filled with videos, memes, and games related to it; Parisians even created the monument. The soccer player was also supported by some people: they believed Zidane acted like a real man. Ten years later, Materazzi confessed he insulted Zidane’s sister and publicly apologized. However, the Italian player has been known as a provocateur since that incident. As Zidane came back home, he won the title of the most popular person of the year; besides, he received Ballon d'Or. Zizou is a universal player notable for his accurate kicks performed by both legs, trademark feint, and heel pass; many players try to learn these techniques. In 2001, Zidane transferred to Real Madrid. This event opened the chain of record-figures contracts. Although Cristiano Ronaldo with his €94 million contract and Neymar’s €222 million agreement surpassed Zidane, he was the pioneer. The French player got €75 million for the transfer, and his annual income is some €5,5-7 million. Besides, the Real Madrid of the early 2000s could boast many stars: Roberto Carlos, Raúl, David Beckham, and Ronaldo. In the first two years of his playing for the Spanish team, Zizou won the UEFA Champions League, Supercopa de España, La Liga, Intercontinental Cup, and UEFA Super Cup. As soon as Zinedine finished his playing career, he was offered the position of the president Florentino Pérez’s assistant. Since 2011, Zidane was the director of the first team. However, the former player got bored by the sphere barely related to soccer and he entered the University of Limoges to become a manager. Later on, Zidane the coach worked with the Real youth team; in a while, he became the head coach of Real Madrid Castilla. These teams helped Zinedine to examine young players and learn their potential and weaknesses so that he could use them for making the first eleven. In January 2016, Zinedine Zidane was appointed the Real Madrid head coach. At that time, the team’s results left much to be desired. The president Pérez trusted Zidane in the transfer politics of that period which experts called ideal. 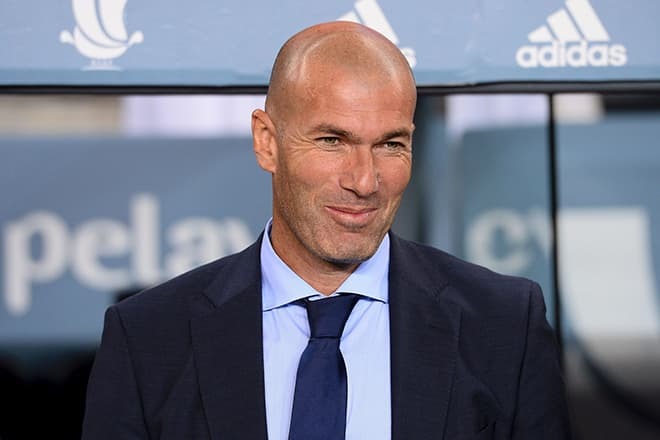 Two victories at Champions League and two Super Cups disproved skeptics’ words: they believed Zidane would not be able to cope with such a famous team and glorious players. Zidane’s hot temper still manifests itself, yet the results of his work are positive. The coach does not like talking too much, and his team learned to understand him by his eyes’ movement. Zinedine said that protecting the club’s interests was a priority; he viewed Real Madrid as the best team of the 20th century and his home. Zinedine Zidane is a happy husband and father; his family is the most important thing for him, and his fans respect him for that. The coach has been acquainted with his wife Véronique Lentisco- Fernandes since 1989. The couple married in 1994. There are four children in the family who are similar to his father and continue to play soccer: Enzo and Elyaz are midfielders, Luca is a goalkeeper, and Théo is a forward. All the children train in Real Madrid. More than 15 million people follow Zidane’s Instagram page where he posts photos from his family life. In 2017, the “merengues” trained by Zinedine won the Primera División, UEFA Champions League, UEFA Super Cup, and Supercopa de España. The Real Madrid forward Cristiano Ronaldo won the Ballon d'Or for the fifth time. The head of the coaching staff considers the Portuguese to be the best player in the history of soccer since his field work is phenomenal. According to FIFA, Zidane himself became the best coach. The club president Florentino Pérez trusts Zidane completely. According to Pérez, the French player is the greatest symbol and icon of the team; he combines the value and talent necessary to be the leader of one of the best teams in the world. At the end of 2017, Real Madrid had to face problems: lost games and the players’ traumas. Rumors had it Pérez considered dismissing Zidane if the team would have no awards in the following season.